Cincinnati does opening day like no other city. Instead of fighting that downtown disaster I decided to spend it like no one else, exploring a new brewery in this wondrous city. 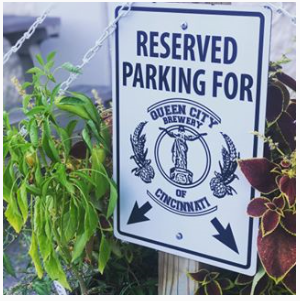 I headed for Blue Ash and the Queen City Brewery of Cincinnati. 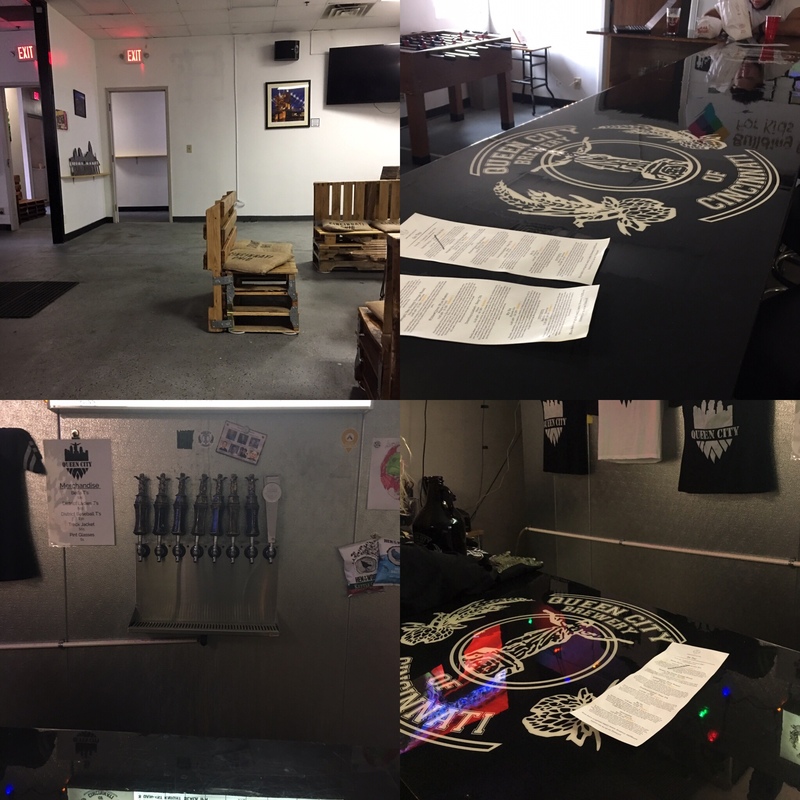 I had just listened to the Cincy Brewcast featuring one of the owners, Jason Surniak, so I had to see what the place was like for myself. 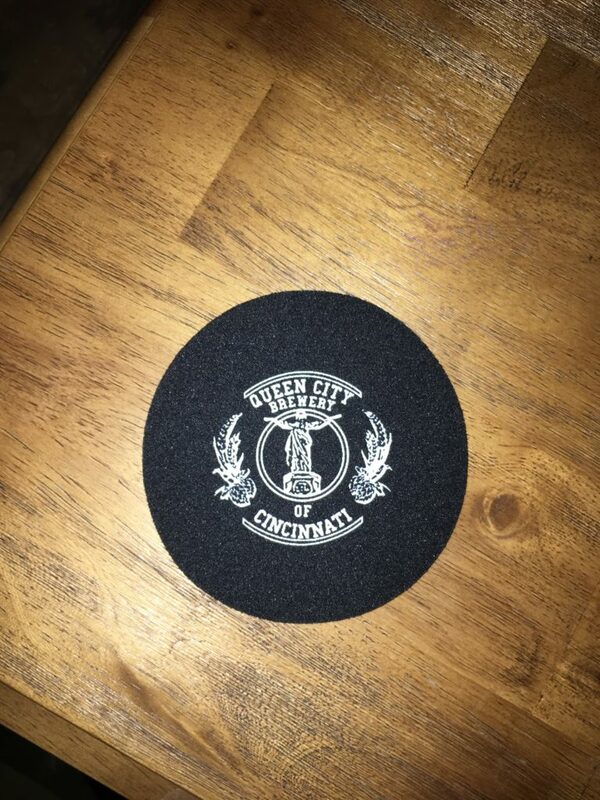 Here’s what I noticed and took from my first visit with QCBCincy. QCB is tucked away in what I would describe as a cross between a strip mall and an industrial complex. Parking is limited with designated parking spots for some businesses. As you walk up to the building they have a couple of picnic tables for enjoying your beer outside, it is dog friendly. Inside the door you’ll enter a hallway. To the left you’ll find the brewhouse and to the right you’ll find the taproom. This place isn’t fancy. It’s not a place you go for the experience of the taproom. I’d describe the taproom as a speakeasy meets an office cubical feel. This isn’t the reason you come to QCB, this place is all about the beer but more on that in minute. I got lost (by ignoring the sign) and found the place where the magic happens. When you walk into the taproom there’s a divider wall separating the taproom, one part bar, one part more seating. On the bar side you’ll notice the cooler directly behind the bar, a move that saves tap lines from being ran everywhere and probably saved them money and space. (I know this from completing exhausting research for my own brewery that never materialized.) Additionally, you’ll find the swag wall. There’s seating at the bar as well. There was probably about 15 other people in the taproom that day and plenty of space for everyone. I’d guess there’s seating for about 40-45 people with plenty of standing room inside. 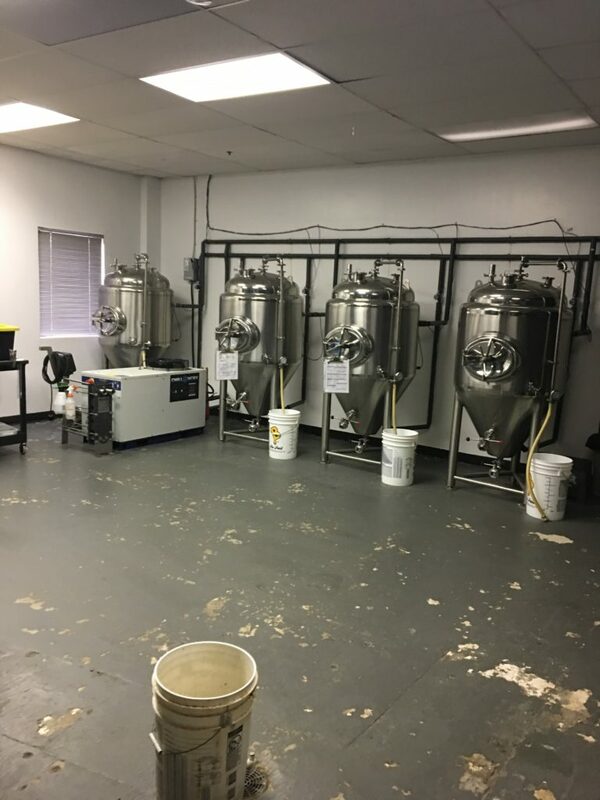 QCB uses a 3bbl system to brew their awesome beers. What does that mean exactly? Well, they’re not producing a lot of any one beer when they brew it. This gives them room to tweek the beers easily and get rid of one they don’t really like that much. For the drinker it means their tap list has a lot of turnover, beers are coming and going quickly. They don’t really have staple beers at the moment but that might change soon. As of now you can only buy QCB beer in the taproom. They don’t can or bottle, yet. QCB features custom furniture and an open space. The small batches they produce allows them to hone in on the style of beer and perfect it for your drinking pleasure. During my visit they offered eight beers on tap and with flights of four that made my decision making process pretty easy. The conclusion was two flights so I could try all of the beers they offered that day. Here are the top three according to the Beercat. 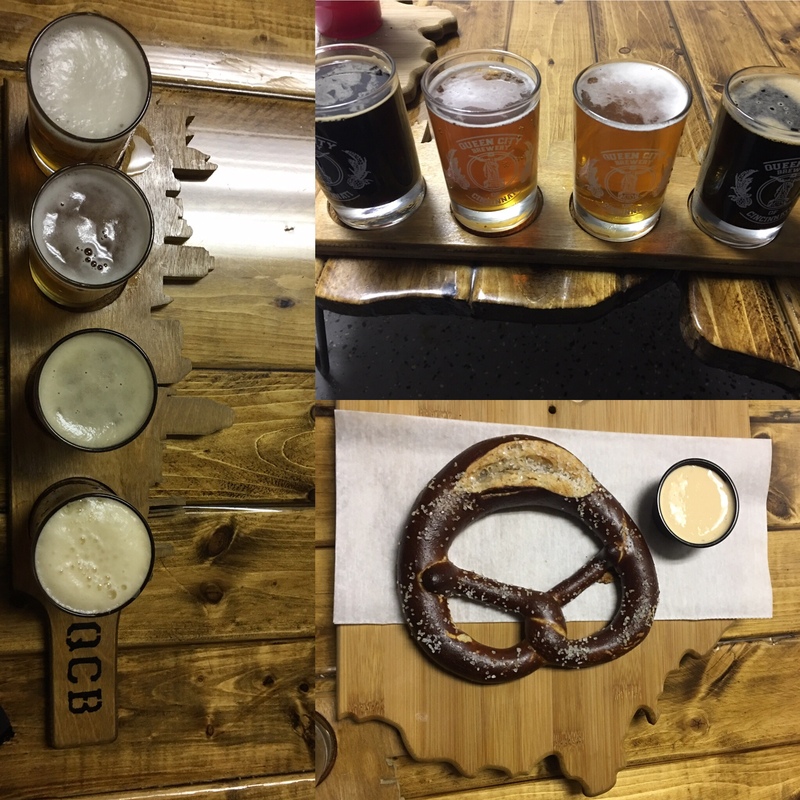 QCB is a grassroots type of brewery. They produce true to style beers and are exactly as they (don’t) advertise. This place is about the beer and it shows when you drink one. The smaller neighborhood type of breweries are really my favorite. Both owners still hold a day job and make beer because they’re passionate about it. They’ve pulled the resources together to make their dreams come true and I respect that. Unfortunately, when I was there they were out of stickers but the beertender, who was super friendly and thanked us several times for coming in that day, did offer a coaster. It’s made out of the same material a koozie is made out of. I thought this was really unique, very practical, and worth mentioning.